You'll explore the less-touristy side of things at Wine Tours & Tastings and Lark Distillery. Change things up with a short trip to Bonorong Wildlife Sanctuary in Brighton (about 30 minutes away). On the 11th (Sat), give your taste buds a day to remember with a local gastronomic tour. There's much more to do: take in nature's colorful creations at Royal Tasmanian Botanical Gardens, take in the spiritual surroundings of St. David's Cathedral, get curious at Tasmanian Museum and Art Gallery, and savor the flavors at Farm Gate Market. To see photos, maps, traveler tips, and other tourist information, use the Hobart holiday planner . Sydney to Hobart is an approximately 4.5-hour flight. You can also do a combination of train, ferry, and bus; or do a combination of bus and ferry. Prepare for a bit cooler weather when traveling from Sydney in May: high temperatures in Hobart hover around 18°C and lows are around 7°C. 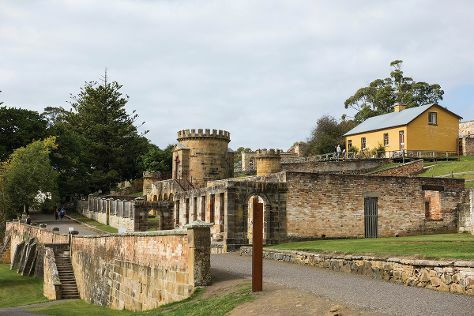 Wrap up your sightseeing on the 13th (Mon) early enough to drive to Port Arthur. Discover out-of-the-way places like Maria Island National Park and Tessellated Pavement. Venture out of the city with trips to Eaglehawk Neck (Tasman Arch, Waterfall Bay, & more). To find traveler tips, maps, and other tourist information, go to the Port Arthur online trip builder . Traveling by car from Hobart to Port Arthur takes 1.5 hours. Alternatively, you can take a bus. In May in Port Arthur, expect temperatures between 18°C during the day and 7°C at night. Wrap up your sightseeing on the 16th (Thu) early enough to drive to Coles Bay. Explore hidden gems such as Freycinet National Park and Cape Tourville Lighthouse. Step out of Coles Bay with an excursion to Melshell Oysters in Swansea--about 46 minutes away. 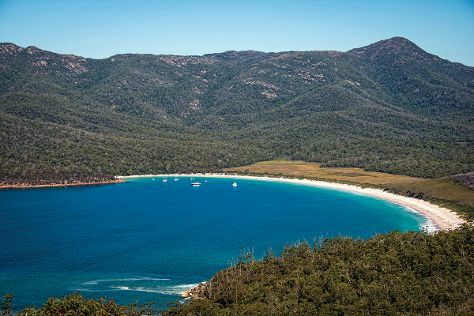 There's much more to do: walk along Wineglass Bay Lookout, make a trip to Mt Amos Climb, learn about winemaking at Devil's Corner Cellar Door, and kick back and relax at Friendly Beaches. For traveler tips, maps, ratings, and other tourist information, use the Coles Bay online route planner . Drive from Port Arthur to Coles Bay in 3.5 hours. Alternatively, you can take a bus. Wrap up your sightseeing on the 19th (Sun) to allow time to drive to Launceston. 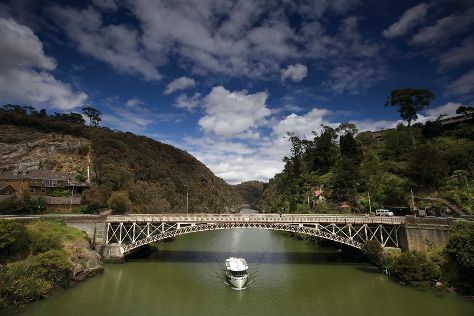 Start off your visit on the 20th (Mon): admire the sheer force of Liffey Falls, then identify plant and animal life at Tamar Island Wetlands, and then identify plant and animal life at Cataract Gorge Reserve. 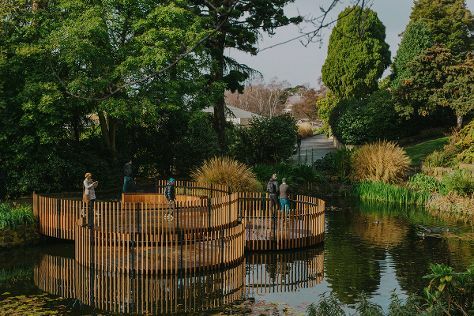 On the next day, stroll around City Park, contemplate the waterfront views at Tamar River, then pick up some local products at Harvest Launceston, Community Farmers’ Market, then learn about winemaking at Tamar Ridge Cellar Door, and finally browse the exhibits of Design Centre Tasmania. For where to stay, other places to visit, photos, and other tourist information, read our Launceston trip planner. You can drive from Coles Bay to Launceston in 2.5 hours. Alternatively, you can do a combination of car and bus; or take a bus. Expect a daytime high around 16°C in May, and nighttime lows around 5°C. Finish up your sightseeing early on the 21st (Tue) so you can go by car to Devonport. Kick off your visit on the 22nd (Wed): explore the fascinating underground world of Mole Creek Caves, explore the fascinating underground world of Marakoopa Cave, then take in the dramatic scenery at Pencil Pine Falls and Knyvet Falls, and finally contemplate the waterfront views at Dove Lake Circuit. 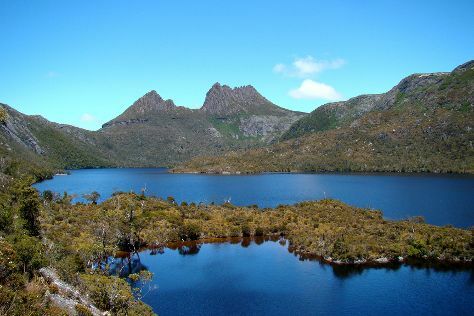 Get ready for a full day of sightseeing on the 23rd (Thu): take in the awesome beauty at Cradle Mountain and then hike along Marion's Lookout Walk. To find traveler tips and other tourist information, refer to the Devonport journey maker app . You can drive from Launceston to Devonport in 1.5 hours. Alternatively, you can take a bus. Expect a daytime high around 17°C in May, and nighttime lows around 5°C. Wrap up your sightseeing by early afternoon on the 24th (Fri) to allow enough time to travel back home.